• Saturday, Jan. 31, at 8 p.m. (doors open at 7:30 p.m.) at Zellerbach Hall on the UC Berkeley campus. Sunday, Feb. 1, at 7 p.m. (doors open at 6:30 p.m.). Tickets: $22 to $58 for adults, $11 to $29 for children. 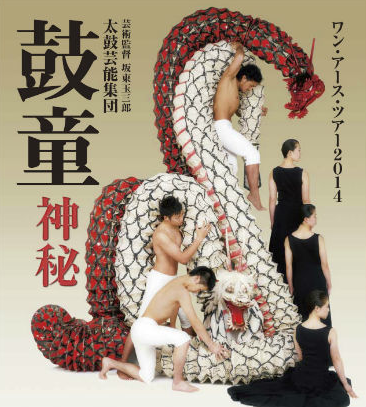 Info: (510) 642-9988, http://calperformances.org/performances/2014-15/world-stage/kodo.php. • Tuesday, Feb. 3, at 8 p.m. (doors open at 7:30 p.m.) at Walt Disney Concert Hall, 111 S. Grand Ave., Los Angeles. Tickets: $46 to $112. Info: (323) 850-2000, http://www.laphil.com/tickets/kodo/2015-02-03. • Wednesday, Feb. 4, at 7 p.m. (doors open at 6:30 p.m.) at Granada Theater, 1330 State St., Santa Barbara. Tickets: $35, $50, $65 general, $20 for UC Santa Barbara students. Info: (805) 893-3535, https://artsandlectures.sa.ucsb.edu/Details.aspx?PerfNum=3082. • Friday, Feb. 6, at 8 p.m. (doors open at 7:30 p.m.) at Balboa Theater, 868 Fourth Ave., San Diego. SOLD OUT. Inquiries: (858) 459-3728, http://purchase.tickets.com/buy/TicketPurchase?orgid=22672&pid=7830864. Kodo explores the limitless possibilities of the taiko and is forging new directions for a vibrant, living art form. “Kodo One Earth Tour: Mystery,” the second work directed by artistic director Tamasaburo Bando, is touring the U.S. and Canada through March. The group looks forward to sharing the wondrous and sacred “mystery” that lies deep within Japanese folk arts with audiences throughout North America. Amidst reverberations like rumbles in the earth, large serpents coil, demons and lions move wildly. They surface from the gloomy dark, eerie at times, and in some respects, even nostalgic… This work fuses Kodo’s real worth, the dynamism of taiko expression, with the wondrous beauty and true charm that lie within rituals expressing the worship of myriad gods and reverence for nature that have been traditions in Japan since ancient times. This performance takes you on a voyage to the extraordinary, to a mysterious realm that lies in the beyond. For more information, visit www.kodo.or.jp/.